England 523 (Alastair Cook 190, Jonathan Trott 87, Nick Compton 57, Pragyan Ojha 4-142) and 3-41 (Ian Bell 28*, Nick Compton 9*, Ravichandran Ashwin 2-31) beat India 316 (Sachin Tendulkar 76, Gautam Gambhir 60, MS Dhoni 52, Monty Panesar 4-90, James Anderson 3-89) and 247 (Ashwin 91, Virender Sehwag 49, Anderson 3-38, Steven Finn 3-45) by seven Wickets. India scored 316 runs in the first innings followed by a hard fought 247 in the second. England hammered 523 runs in their first innings and achieved the nominal target of 41 runs after losing three wickets. 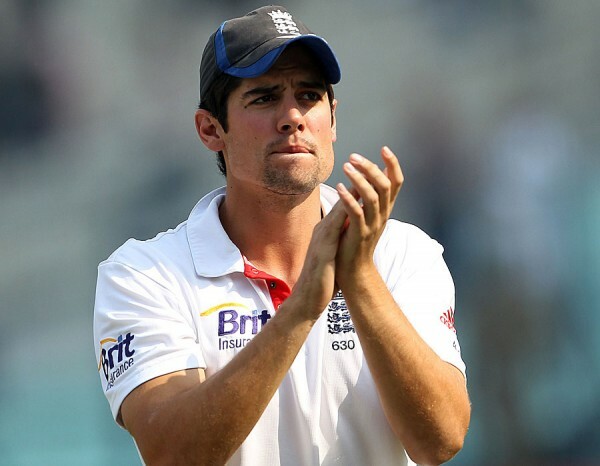 Alastair Cook (England) was declared ‘Player of the match’ for his herculean innings of 190 in the first innings. The third Test of the four match series concluded on Sunday, December 9, 2012, that was the fifth day at Eden Gardens, Kolkata. Earlier, India started the day at 9-239 after utilising 83 overs, Ravichandran Ashwin was heading towards his second Test ton at 83 and Pragyan Ojha was at the other end with three runs. The duo already shared a last wicket stand of 42 runs and took the home side away from the innings defeat. Ashwin hit two consecutive fours in the first over bowled by Steven Finn but exposed Pragyan Ojha from the other end to face the music. James Anderson uprooted the stumps of Ojha on the fourth ball of the next over without any addition to his overnight score. Ravichandran Ashwin remained unbeaten for 91 off 157 balls with 15 fours as India was bowled out for 247 in 84.4 overs and they got a lead of 40 mere runs. James Anderson and Steven Finn were the pick of the bowlers with three wickets each, Graeme Swann held two whereas Monty Panesar took one wicket. England looked in a hurry while chasing a small target as their skipper, Alastair Cook, tried to hit a six and jumped out of his crease on the fifth ball of the second innings off Ashwin. He was deceived completely by the turn of the ball and MS Dhoni made no mistake in removing his bails. 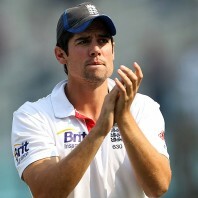 Cook scored just one run as the visitors lost their first wicket at 4 when Jonathan Trott joined in next with Nick Compton. Trot was declared leg before wicket off Pragyan Ojha for three runs on the second delivery of the fourth over. Kevin Pietersen was stumped smartly by Dhoni on the second ball of the fifth over for a duck and England was in a mess by losing their three top order batsmen for just eight runs. Ian Bell walked in the centre next and opened his account with a four as Compton kept on securing his wicket. The pair added 11 runs in the 9th over with a couple of fours as the score reached 29. Bell hit 2 fours in the following overs and took a single on the first delivery of the 13th over when England reached the destination by scoring 41 runs with seven wickets in hand. 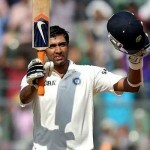 Ravichandran Ashwin claimed two wickets and Pragyan Ojha held one during the 12.1 overs spell by the two spinners. 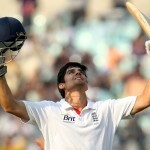 England won the match convincingly by a big margin of seven wickets and they lead the four Test series 2-1. The fourth and final Test of the series will commence on December 13, 2012, at Vidarbha Cricket Association Stadium, Jamtha, Nagpur. The English team is in a good nick and keeping in view their current form they look like winning the series whereas India will fight hard to square it by winning the last encounter.